America has slowly awakened to the tremendous economic impact of small and independent craft brewers. With more than 4,600 entrepreneurs creating sales and jobs across the country, it’s likely you’ve seen that impact at work in your community. But there’s another group of brewers who are also leaving an imprint on our nation’s economy: homebrewers. That may seem like a strange statement; homebrewers by definition don’t sell their products. 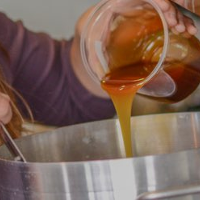 Nevertheless, they support numerous businesses including homebrew shops, equipment suppliers, raw material producers and more (they’re huge supporters of local, independent craft brewers…). How big have those economic ripples become? 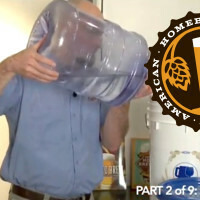 Retailers other than homebrew shops now sell homebrewing equipment. 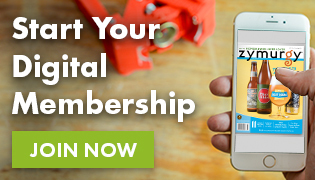 You can buy much of the basic equipment for homebrewing at any general retailer. And given the do-it-yourself nature of many homebrewers, some also make many of these tools from something else entirely. 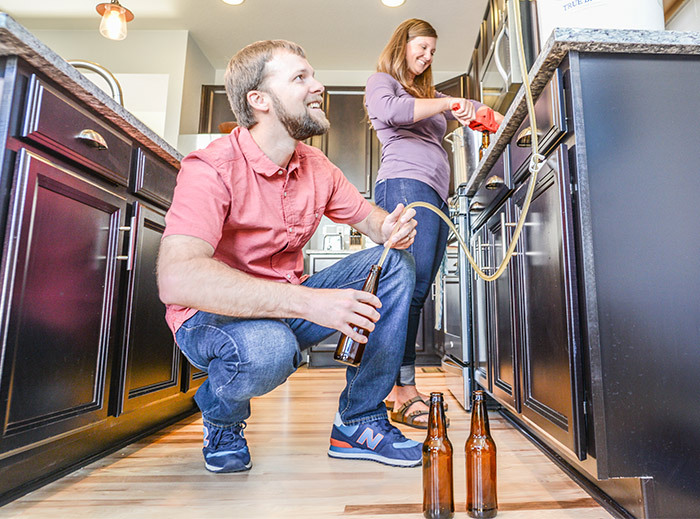 Many homebrewers use equipment they already have at home (think the soup pot that doubles as a brew kettle), but since those purchases have already happened they can’t be counted as new economic impact. Ingredients—both core brewing ingredients and adjuncts—often come from outside of homebrew shops. Water is an obvious one, but what about the grapefruit for your IPA or the coriander for your gose? Homebrewers spend other money in pursuit of their passion. Traveling to Homebrew Con or a local homebrewing competition. Buying fertilizer and a trellis for the backyard hops garden. Don’t believe me? Just ask a homebrewer’s significant other. 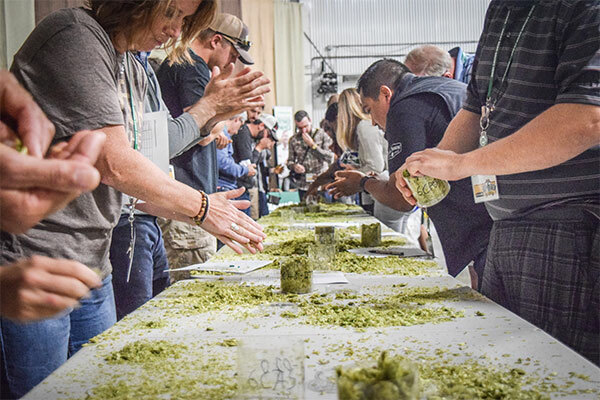 Homebrewers learn about hops at the annual Hops & Brew School event in Yakima, Washington. Given those adjustments, $1 billion in spending is probably a conservative estimate, with 80%-90% going directly to homebrewing equipment and the rest going to other activities directly related to the activity. To estimate the total impact of that spending, we need to think about all the other ripples those dollars create. Equipment suppliers buy raw materials to make the equipment. 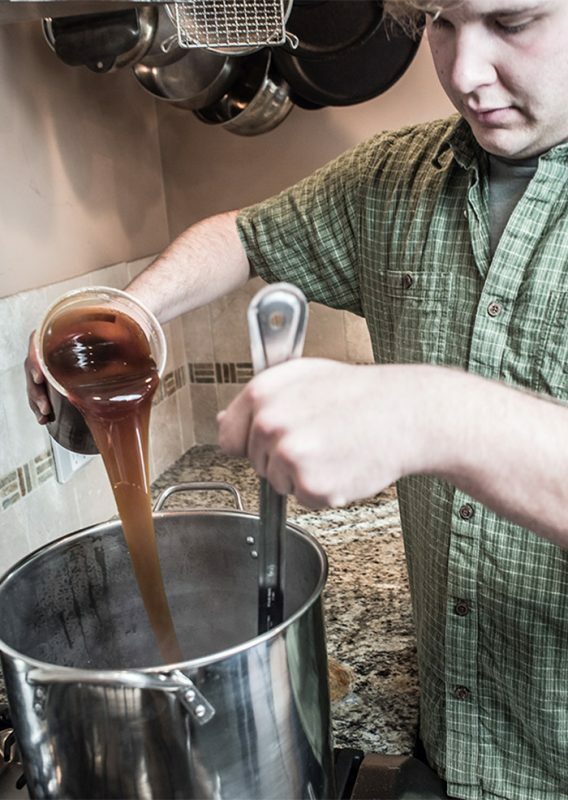 Homebrewing shops employ people, and those employees spend money. This is called the “multiplier effect.” Retail multipliers are typically lower than those in manufacturing industries, but they can still add 20% to the total impact. To estimate the total impact, I put these spending numbers into economic impact modeling software called IMPLAN. For simplicity, I assigned the $764 million to a retail category that includes hobby shops. In addition, I put $50 million in building material and garden supply stores (I’m sure some of you have bought homebrew supplies at Home Depot) and another $50 million in food and beverage stores. The final $136 million I evenly divided between hotels, travel, restaurants, and entertainment (to estimate travel and other expenses). Not too shabby! So next time you’re thinking about a brew day, remember that you’re not just making tasty beverages, you are also supporting the American economy. Bart Watson, Chief Economist for the Brewers Association, is a stats geek, beer lover, and Certified Cicerone®. He holds a Ph.D. from the University of California, Berkeley, where in addition to his dissertation, he completed a comprehensive survey of Bay Area brewpubs one pint at a time.